Kids Classic Eames Style Chair Retro Modern Atomic Age Eiffel DSW Coloured Side Lounge Dining Chair Wooden Legs Base Premium Polypropolene Hard Plastic Moulded Seat. 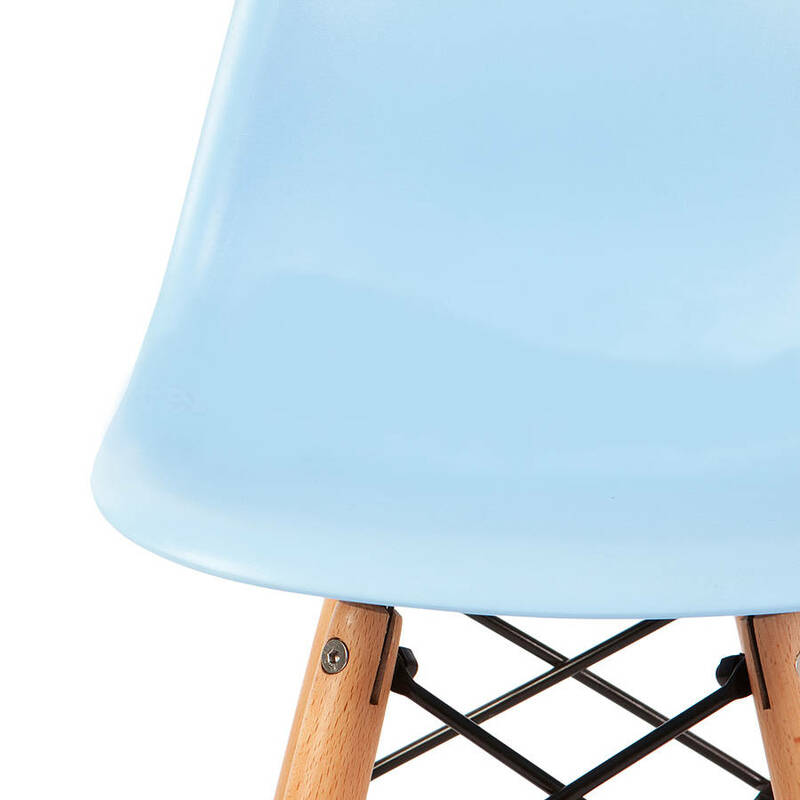 Kids version of the Eames iconic DSW chair. 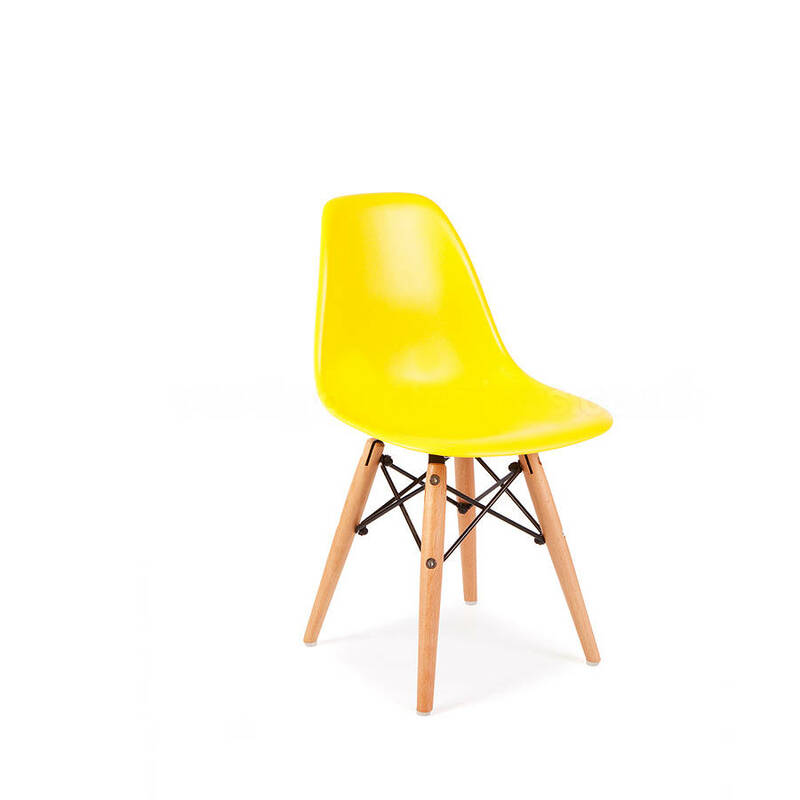 Originally made in fibreglass by Charles & Ray Eames 1950 MOMA Low Cost Furniture design competition, now in eco-friendly moulded polypropylene. 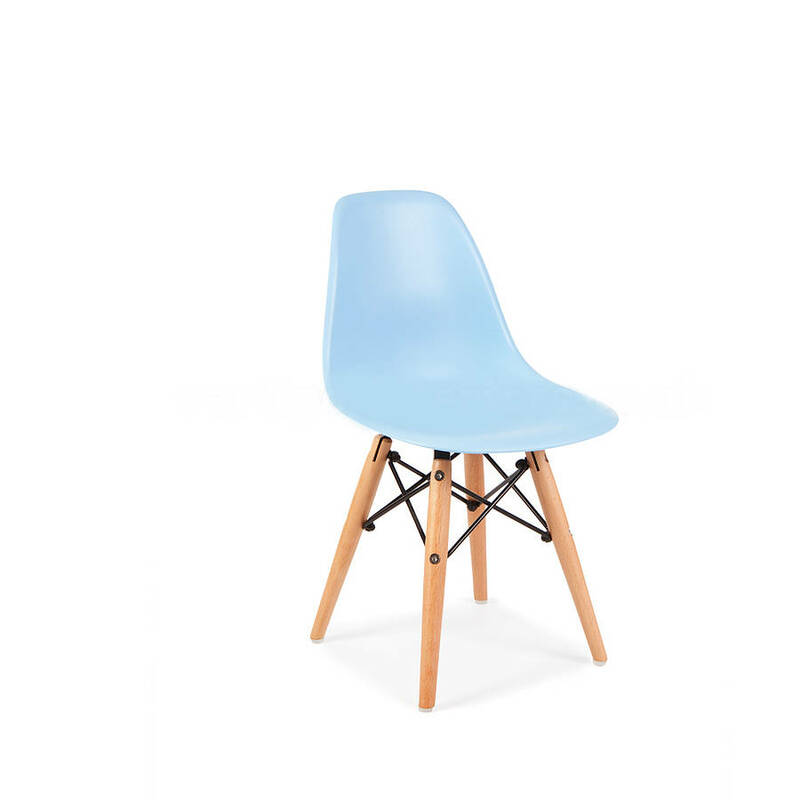 The Eames style DSW is an iconic classic chair from the mid 20th century with the famous Eames Style seat and Dowel Leg base. The design was so way ahead of it's time the DSW with its sleek and colourful looks, modern appearance and sheer durability! 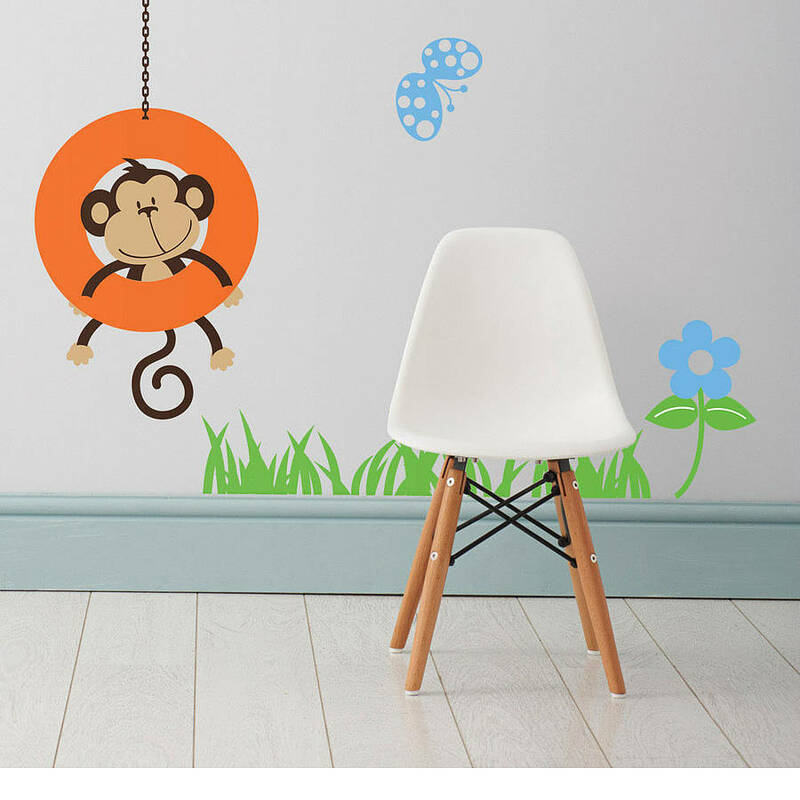 Ideal for any dining room, lounge, nursery or playroom, the Kids DSW adds a splash of colour and style for your Kid's lives. Presenting the Kids versions of the famed Eames style DSW side chairs! 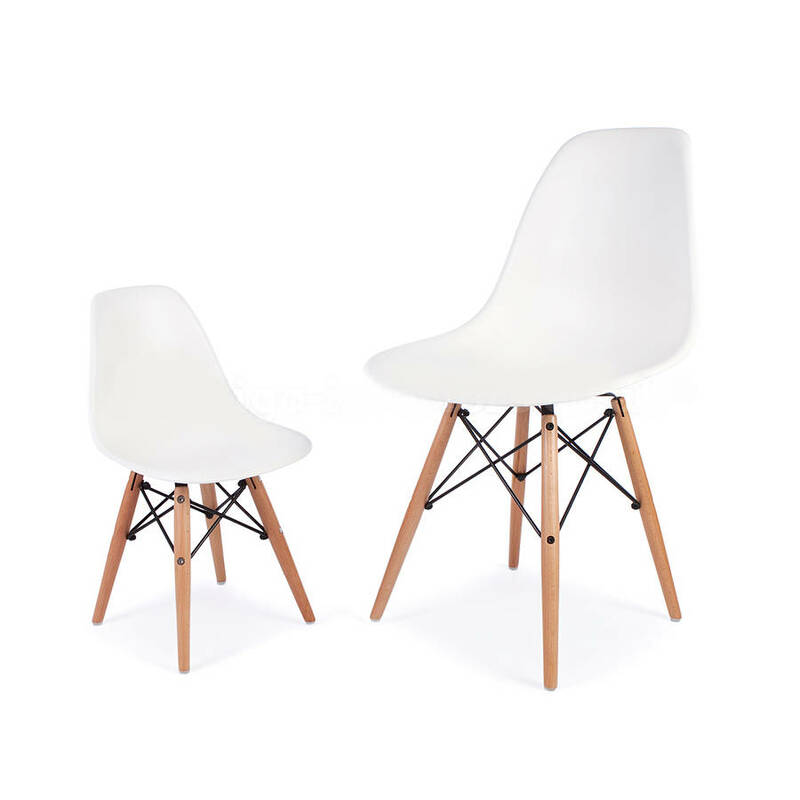 These faithful reproductions of the Eames range do fantastic justice to the original 1950 designs of Charles and Ray Eames. Charles & Ray Eames were responsible for many of the modern classic designs we still see today and will continue to see well into the future! The Eames ‘Eiffel’ chair is no exception and gets its name from it’s chrome wire like base which is highly distinctive. 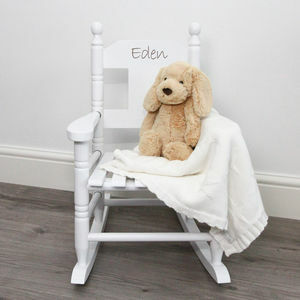 This chair is just so versatile and this is one of the reasons for its notoriety! 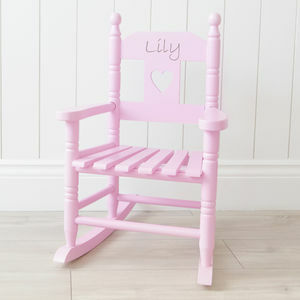 It is effective as a dining chair, as a lounge chair, as a side chair and looks good in literally any room of the house! 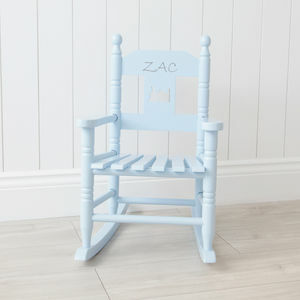 Made to order with choice of seat colour and chair base in either wood or chrome. 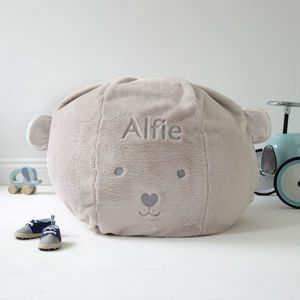 This product is dispatched to you by Cielshop.